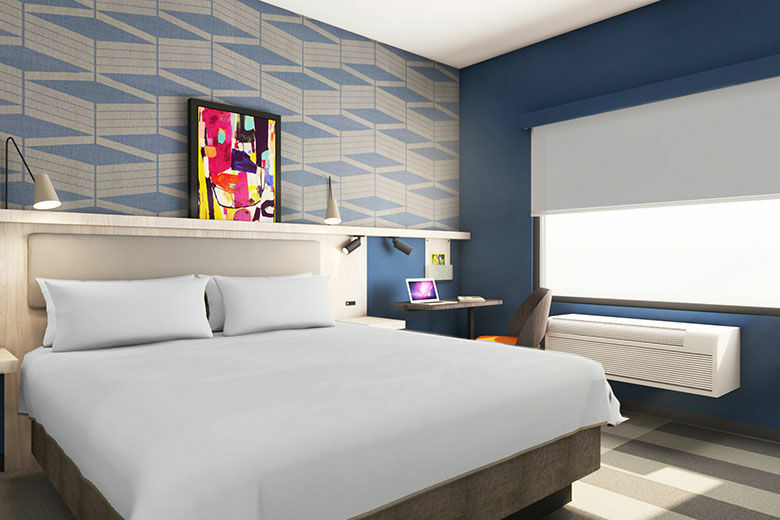 Miami – Radisson Hotel Group today announced at its Americas Business Conference in Miami, Fla. the all new look and feel of Park Inn by Radisson. As part of the conference, the company revealed its new prototype model room for the brand. The new contemporary design targeted at the upper midscale market provides comfort while maximizing space within a compact footprint. Each room is thoughtfully constructed, while highlighting the core essential brand pillars: Connected, Positive and Contemporary. The dynamic design scheme throughout each hotel also adds an energy aimed to lift the mood of every guest from leisure to business travelers.